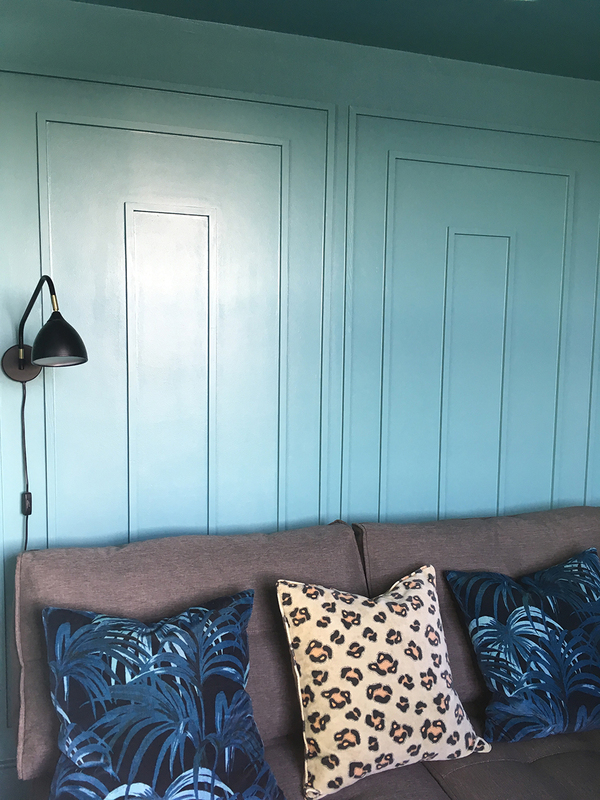 Last year I took on the slightly daunting task of adding decorative moulding (or panelling if you like, though I would argue, not technically correct), to the back wall of our freshly made over TV room. It's something I'd talked about and wanted to attempt for years, but never had the guts to through with it. When the room was nearly complete, it was crying out for something on the back wall, but my husband and I could not agree on any art (or afford the art we could agree on), so on a bit of a whim I ordered myself a mitre saw, some stripwood and some heavy duty wood adhesive, and set to work on photoshop planning how I'd add a bit of wow to the wall. Then I started to get nervous. What the hell was I doing? I didn't actually have a clue - I'd never done anything like this before. But I had a quick word to myself (something along the lines of, 'what's the worst that can happen, get over yourself' and 'you've spent the money, now you have to do it') and got to work. Turned out that I needn't have been daunted by it, because it really wasn't that hard after all. In fact, the hardest part other than setting up that saw (and yes, my husband had to help me), was getting the position right for the very first piece. After that there was no stopping me! 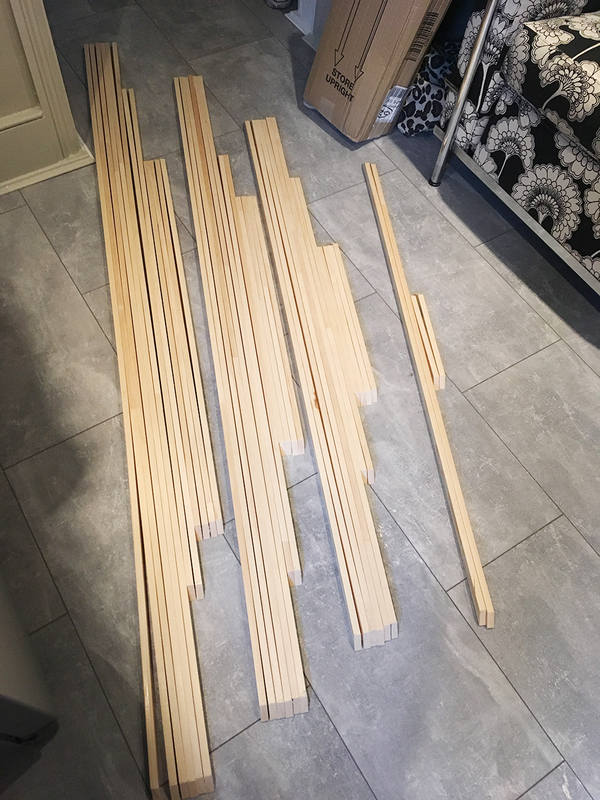 I'd hoped to avoid having to use nails to hold my wood in place while the adhesive dried (in turn, saving a huge amount of extra filling and sanding), so I went for the strongest sounding wood adhesive I could find, aptly named Megabond, and can happily report that it does what it says on the tube. That stuff sticks and does not move, yet it does give you a bit of jiggle room for a while which is exactly what I needed for this project, because the walls aren't perfect and neither was every cut on my £50 mitre saw! 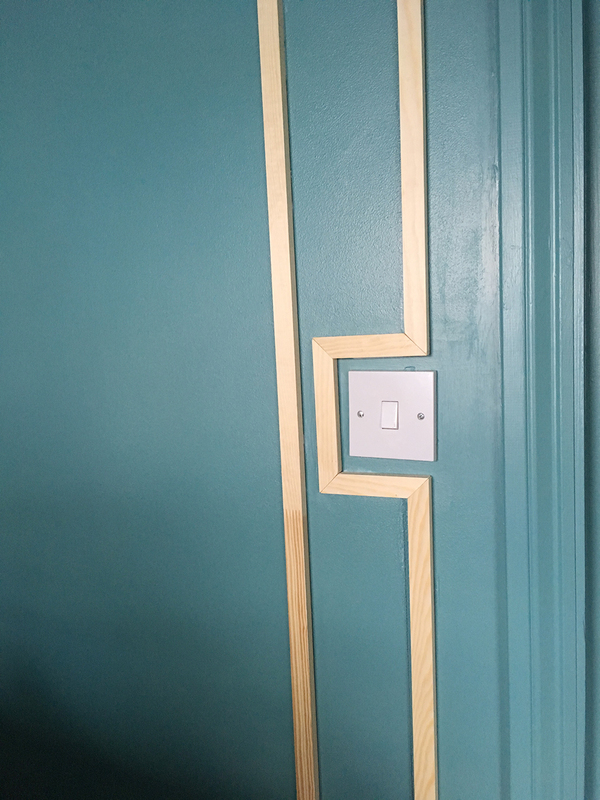 By the end of the day (a Friday), I had half the boxes finished, and by lunchtime on the Saturday I had them all done, including the detail around the (wonky-but-don't-worry-I-replaced-it) light switch. Rather proud of that bit. 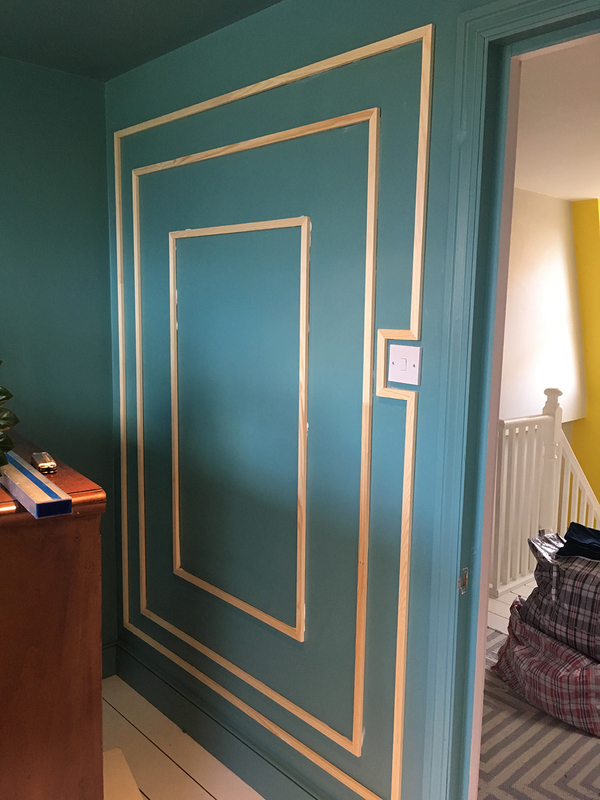 That afternoon it was time for the boring part - all the corners needed to be filled and sanded, and all sides of each box needed to be caulked. Tedious much? 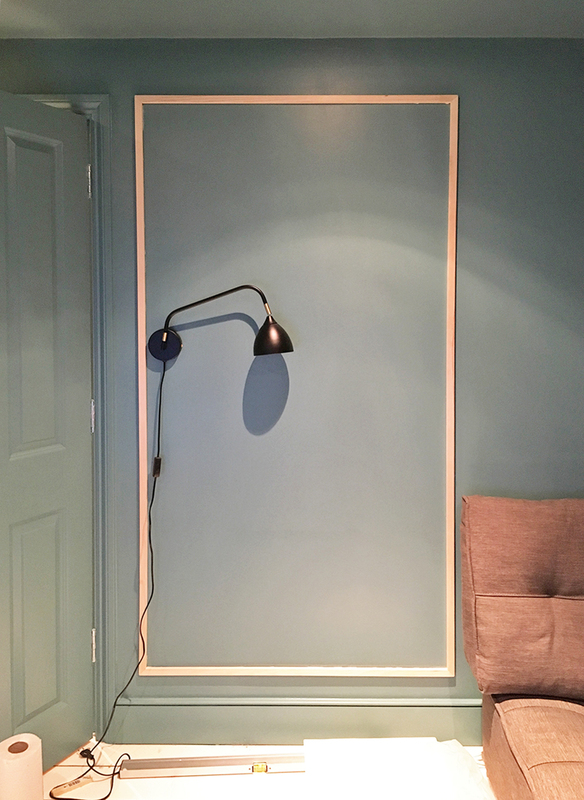 Then two coats of primer, followed by two coats of the wall colour on the Sunday. 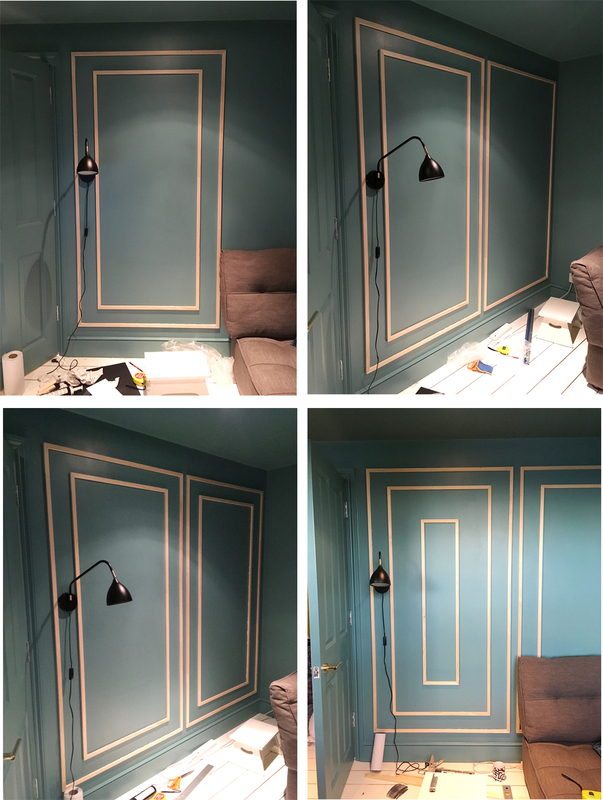 This of course was the super satisfying bit where all my hard work paid off, and the moulding really became part of the room. 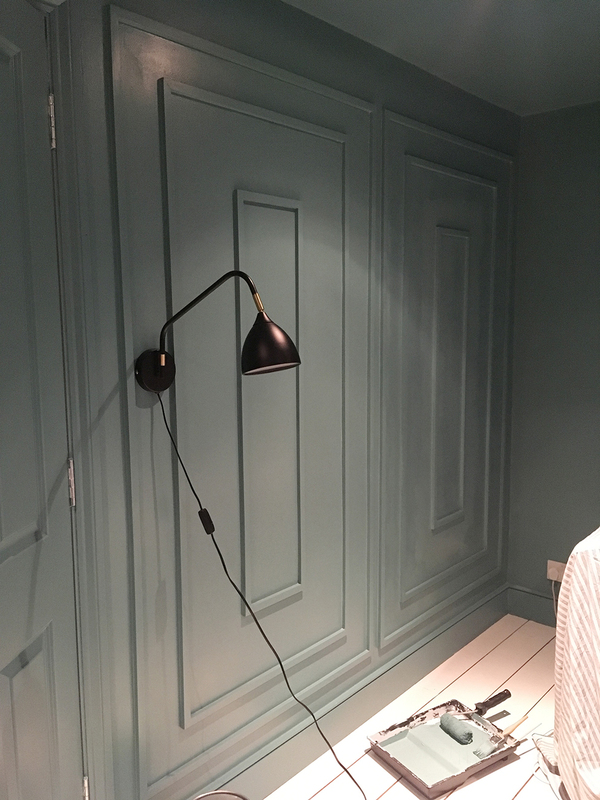 I'm so pleased I went for it; the moulding adds interest and detail in an otherwise pretty architecturally featureless room (this room is in the new loft extension for those of you that are new here). 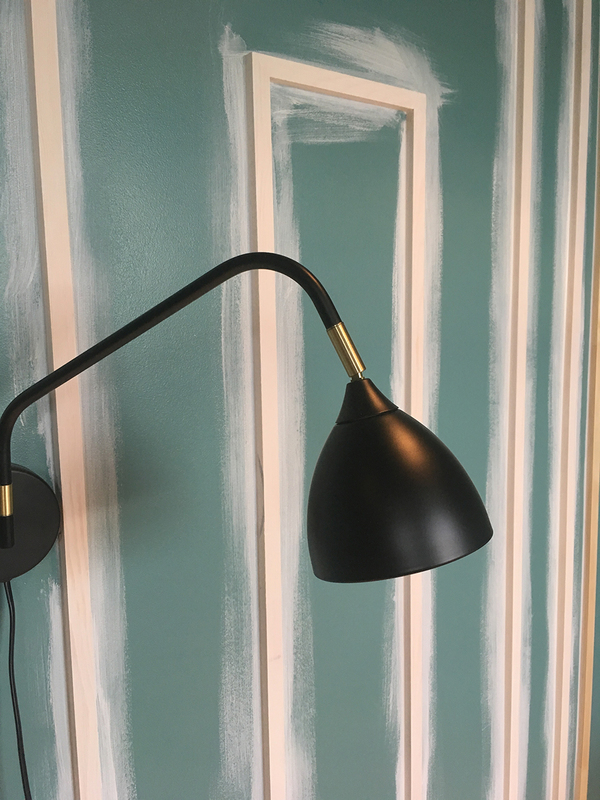 And feels fresh and modern but with a little deco nod, due to the plain profile of the strip wood. 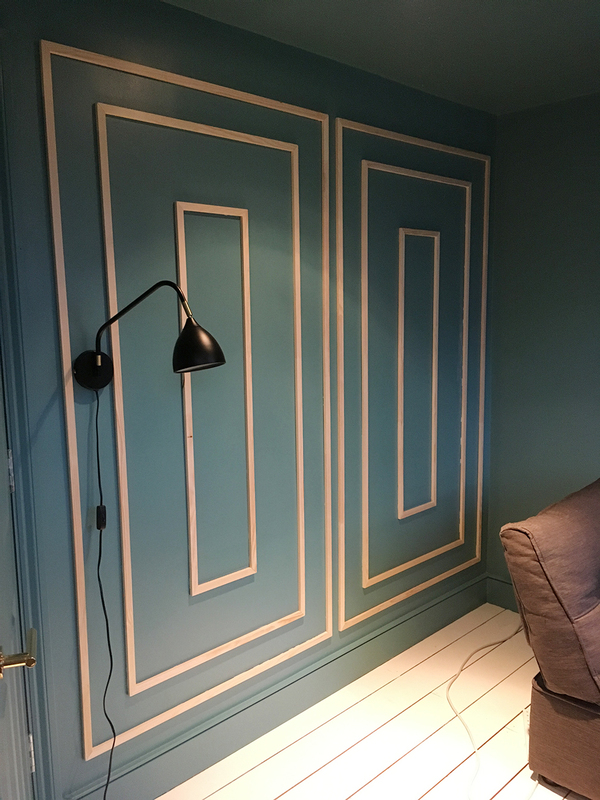 I'd probably have chosen a rounded or more detailed moulding in any other room of the house, and may well add some moulding to the built-ins in the bedroom one of these days, because adding decorative moulding is my new jam. 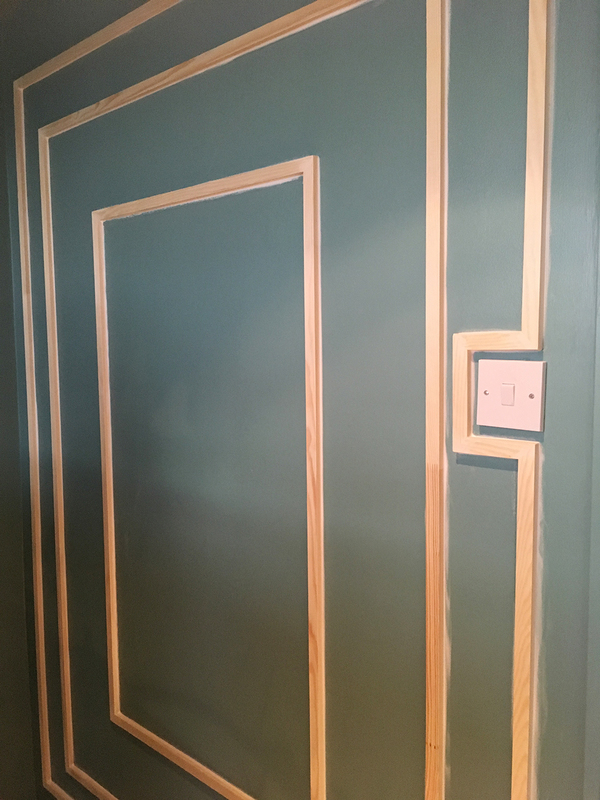 And watch this space, because I've also made some new doors for the built in cupboards in the bathroom, and I couldn't resist using the left over stripwood from this project to add some moudling to them too. They look so pretty and I'll be sharing my progress in there soon. If you have any questions about any aspect of this DIY just leave me a message in the comments below. And if you're considering doing something similar yourself, but have been a bit hesitant, go for it! Looks brilliant. You've done a great job. 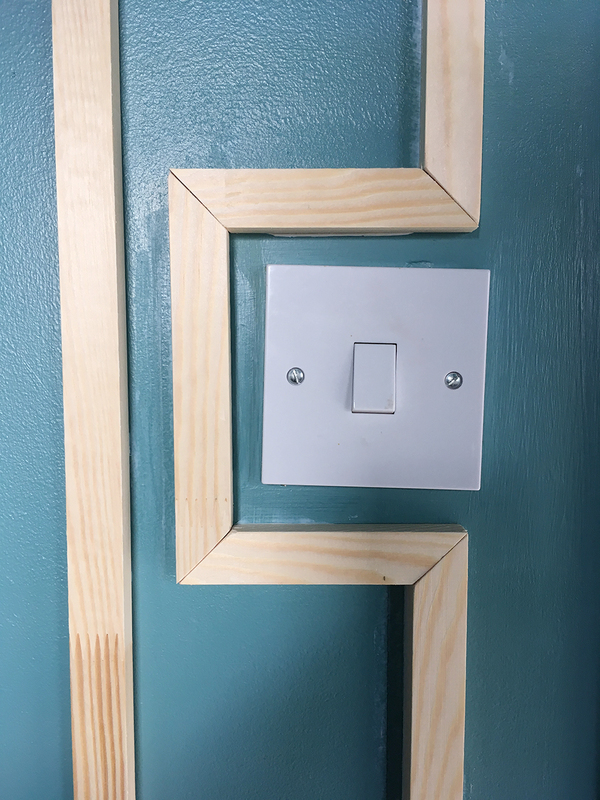 I did this DIY before and found getting the angles on the tips of the wood the hardest! 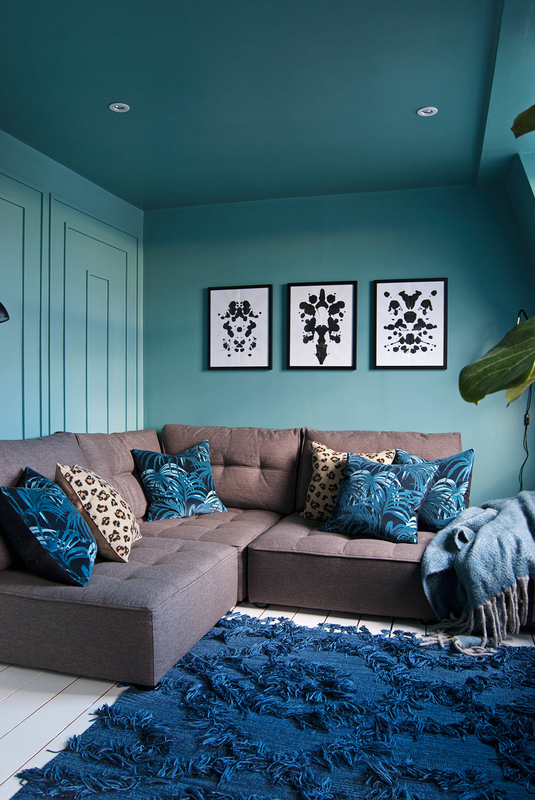 Looks awesome, instantly adds a whole new dynamic to the room! Wow it really looks like wood paneling! It requires perfect symmetrical work. You are the best! Just stopping by to say you did such a great job. this could catch on, it looks amazing. 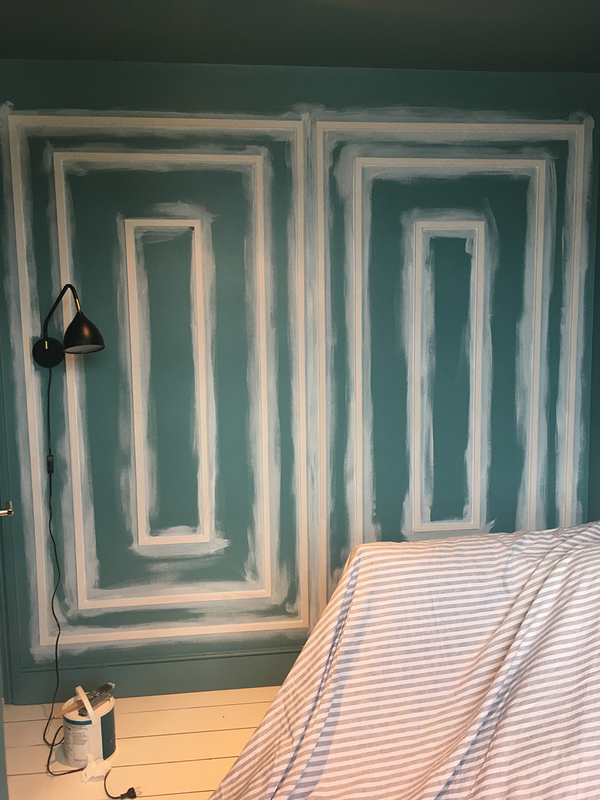 hear hear for DIY moulding. well done. 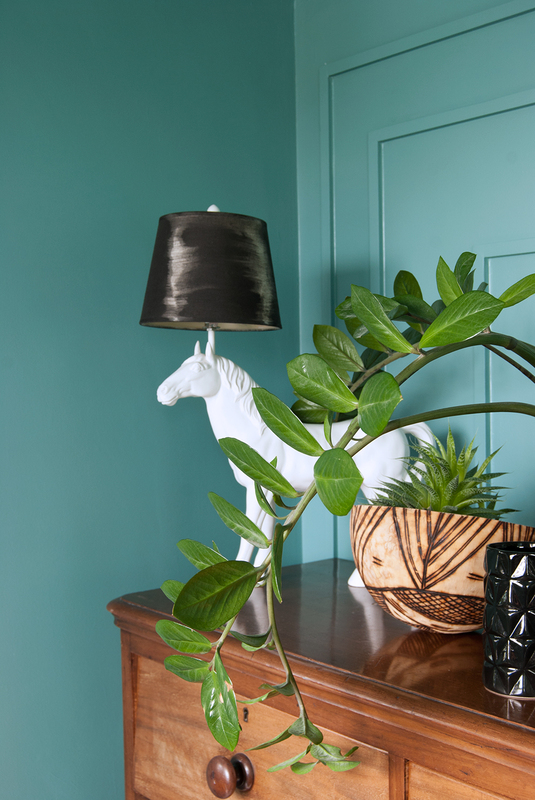 New Year, New Look In The Living Room!